Takumi Fujiawara has garnered the attention of the legendary street racer Ryosuke Takahashi, leader of the RedSuns. As he prepares for the biggest race of his life, Takumi finds himself trying to juggle his passion for racing with his personal life. 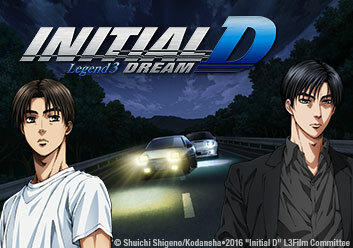 With his girlfriend Natsuki wondering about their relationship, and his friends conflicting agendas, can Takumi find the answers behind the wheel? Takumi prepares for his hardest race yet against the legendary Ryosuke Takahashi. Can he balance his love of racing with his personal life?